After premiering at Sundance earlier this year and moving through the festival circuit, writer-director Boots Riley‘s surrealist sci-fi/comedy Sorry to Bother You will be arriving in theaters this summer. Riley makes his feature writing/directing debut here, which should be a sign of the insanely creative work that’s still to come in his career. It promises to be one of, if not the most original film released this year, if the new red-band trailer is any indication. Sorry to Bother You should stand easily stand out from the summer blockbuster crowd and will hopefully draw a crowd of its own thanks to its stellar and increasingly recognizable cast. 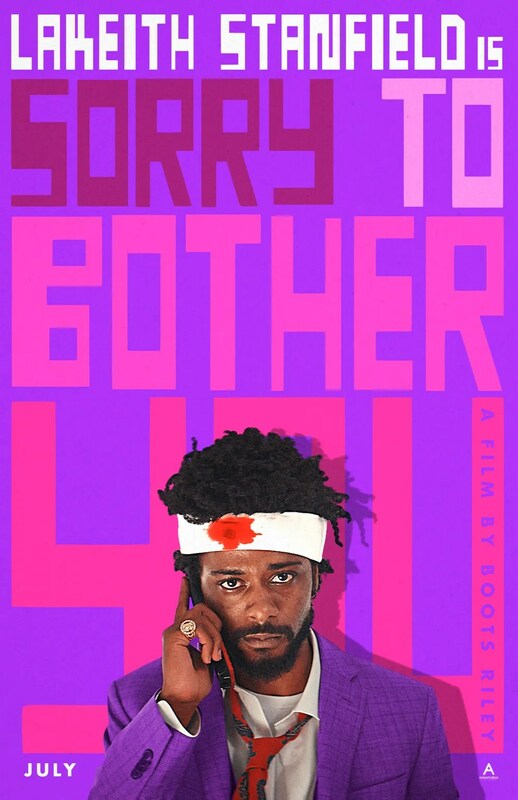 Starring Lakeith Stanfield, Tessa Thompson, Armie Hammer, Patton Oswalt, Steven Yeun, Terry Crews, David Cross, Danny Glover, Omari Hardwick, Marcella Bragio,Tom Woodruff Jr., Kate Berlant, Jermaine Fowler, Robert Longstreet, and Teresa Navarro, Sorry to Bother You lands in limited U.S. theaters July 6th, expanding the insanity July 13th. The folks behind the Annapurna Pictures release have also opened up a pretty insane Paraphernalia Store to tie into the film. There, you can buy the usual things like t-shirts, earrings, and Koozies, or you can even buy Cash’s Toyota Tercel. Yep. It’ll only cost you about $24,000 (and it may or may not actually drive). There are some other mystery items yet to be revealed, so keep checking the site out to see what other insanity is available.